Born: 1948, Colchester, Essex, U.K. Studied: London College of Printing. 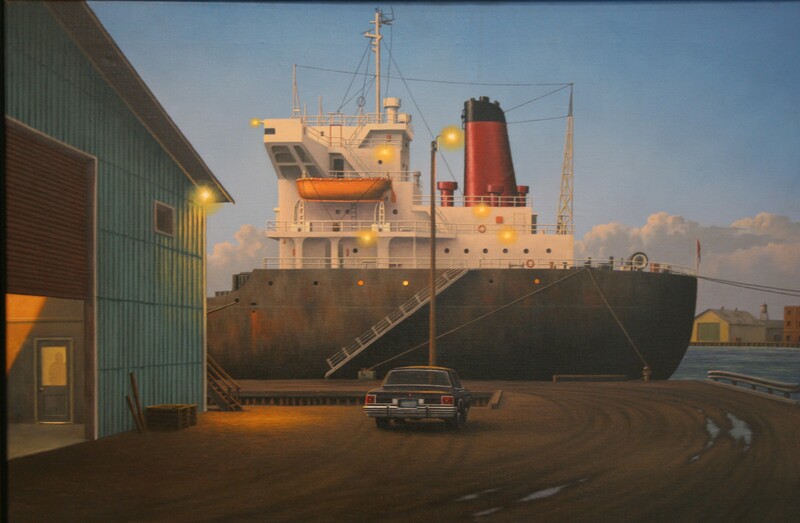 Work: Harling is interested in the American scene and American cars, although his works are based on a more direct observation than the romanticised renditions painted by many other Hyper-realist artists, Harlings paintings have the ‘foreign- eye’ effect. 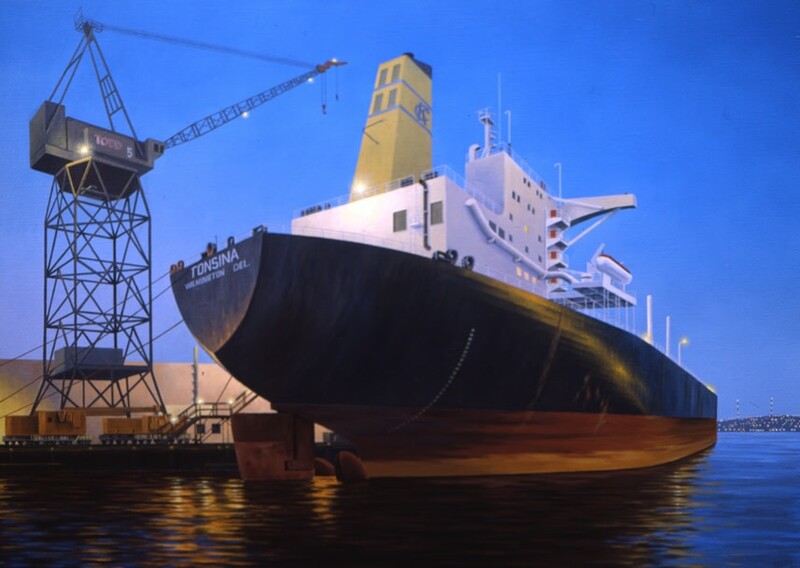 His paintings offer an angle of vision from which Americans would never see themselves. 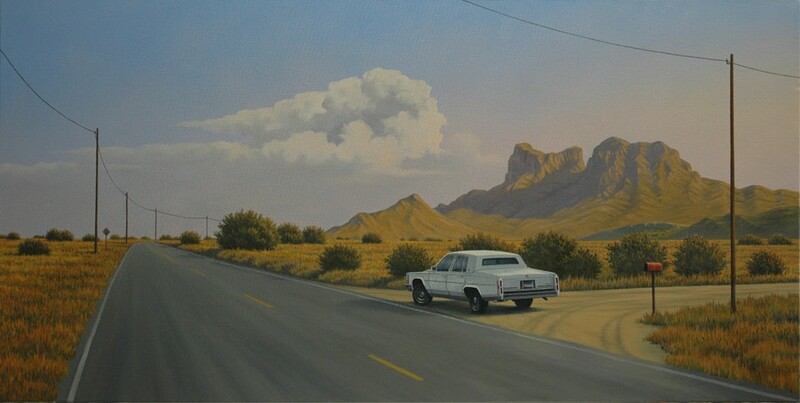 His urban landscapes hold a narrative quality which allows the viewer to escape from reality whilst imagining the situation at hand… Who is behind the wheel of that Cadillac? "Our lives are a journey through a changing landscape. These landscapes become associated with the emotions we experience as we pass through them. Some of these associations are so common that they become a language which can be universally understood. 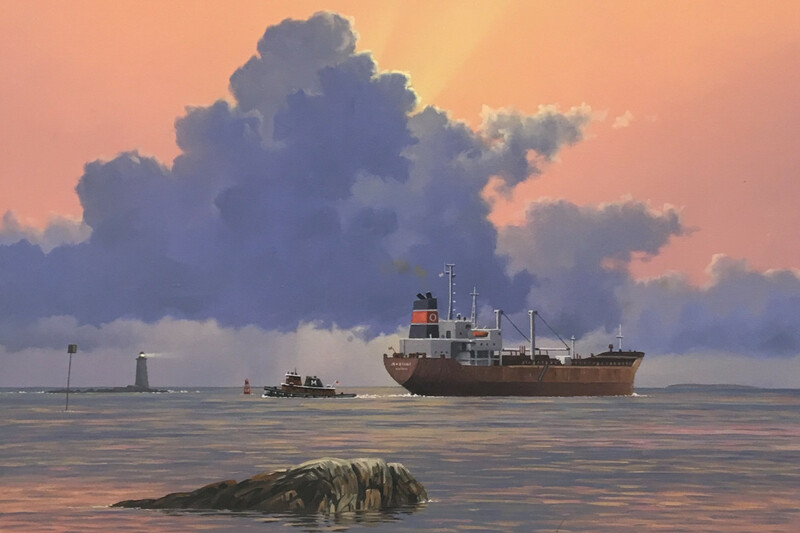 A ship departs at dawn, a car travels on a road at night, a solitary figure contemplates distant horizons at dusk; these are all images which have a resonance beyond the surface narrative, suggesting various emotions such as loss, hope or communion".